You don't forget a picture like this. It's visually stunning. 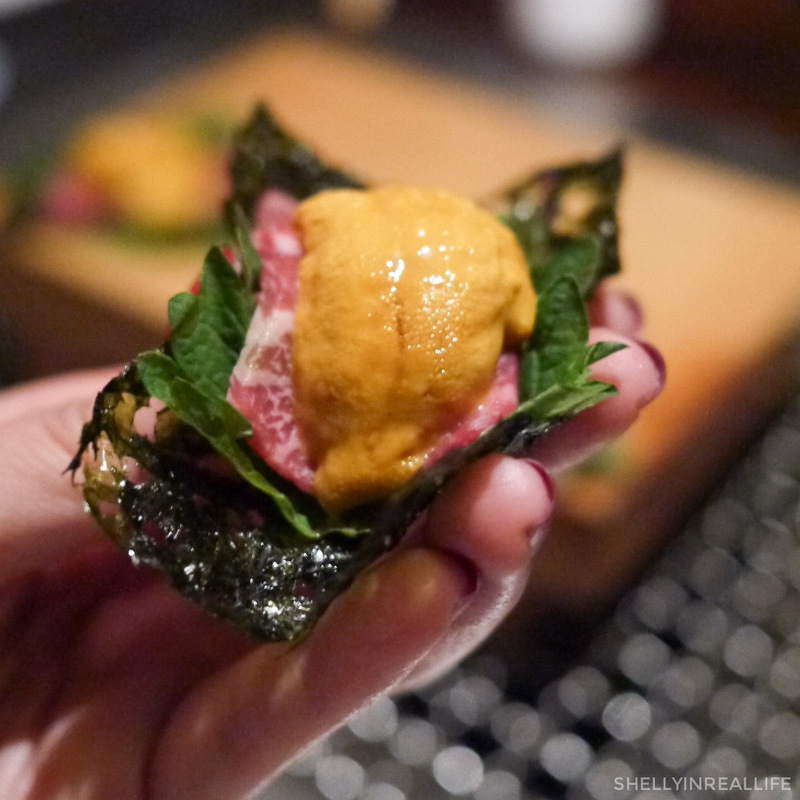 I mean....uni on top of raw marbled chuck flap wrapped with a shiso leaf and seaweed? The contrasting colors and brightness of each ingredient just draws you in. This is pretty much THE definition a "flavor bomb". 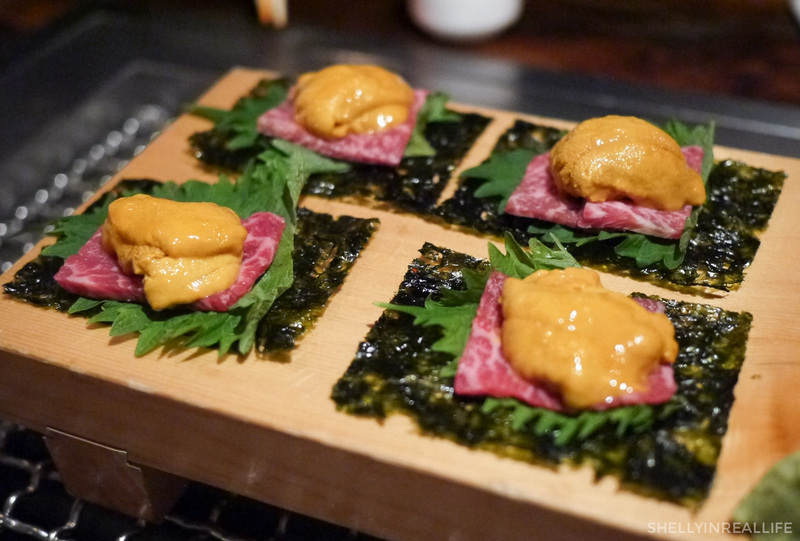 My friends, this is called the Niku-Uni and you need to eat this at Takashi, a Japanese BBQ restaurant in West Village. The first time I laid my eyes on this, I knew I had to have it. How can you not want to try this for yourself? 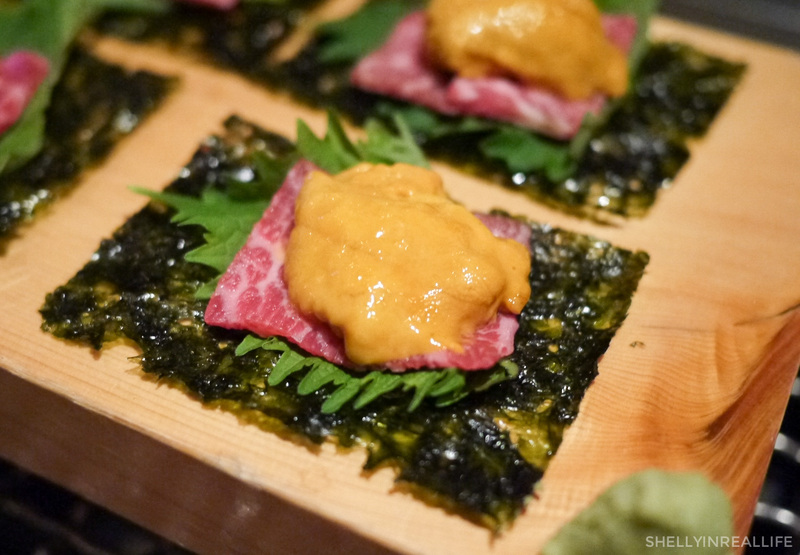 Who knew that uni and beef can taste this good together? 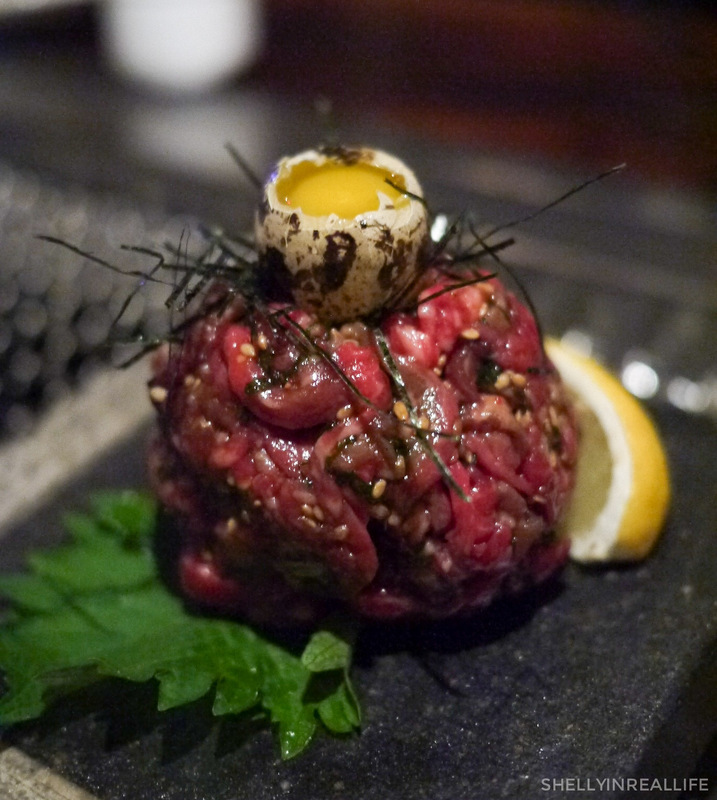 The creaminess of the sweet uni really compliments the raw tender beef. The shiso leaf adds a bit of brightness while the crispy seaweed gives that extra crunch and salt that the bite needs. Then add a bit of wasabi and you're good to go. One way ticket to heaven please. Takashi is known for having a long wait, but you can make a reservation if you have party of four or more. I definitely recommend just making a reservation. We were able to reserve a table for our group of six for 9:30 PM on a Wednesday night a few days prior. By the time they seated us, the restaurant was already emptying out but it was stilled filled with the aroma of Japanese BBQ. Warning: don't wear your nicest clothes cause it will be wrecked. 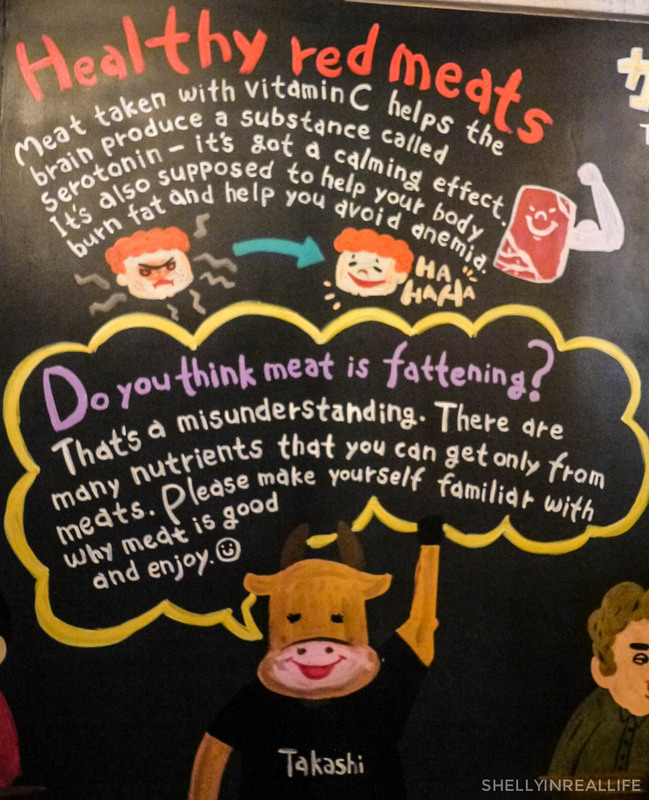 Their menu is very beef-centric so vegetarian friends beware. They really pride themselves in their beef, so the meat here is very high quality but it does come for a price. 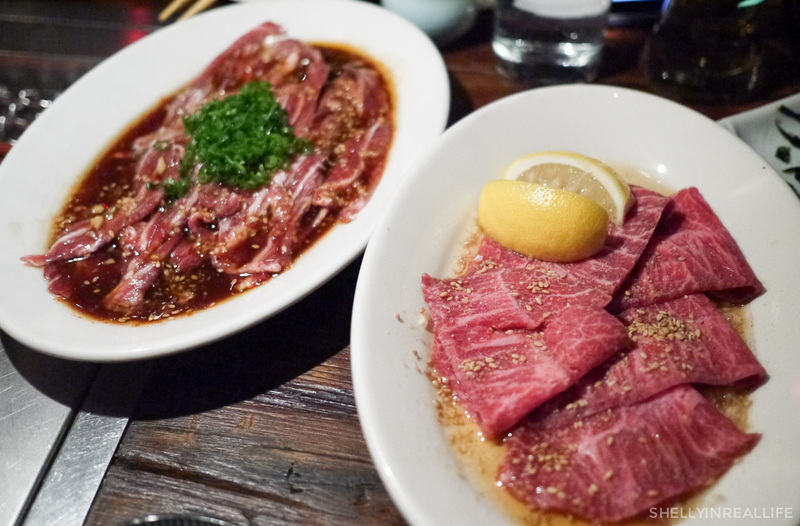 They serve all cuts of the cow from the ever-so-popular ribeye and kalbi all the way down to three different parts of cow stomachs - you can order the 1st, 2nd or 4th stomachs; who knew there were so many!? And to my most adventurous friends, there's even Testicargot for ya. Translation? Cow balls served escargot style with garlic shiso butter....ummm... thanks but no thanks. Given how crazy we could have gone in ordering, we actually stuck to most of the basics. I'm pretty happy about that because I wasn't too keen on playing a game of Fear Factor where we're challenging each other to eat balls and brains. One of the highlights for me was the Yooke which was thinly-sliced chuck eye tartare in a thick soy-based sauce that reminded me a lot of a teriyaki sauce. 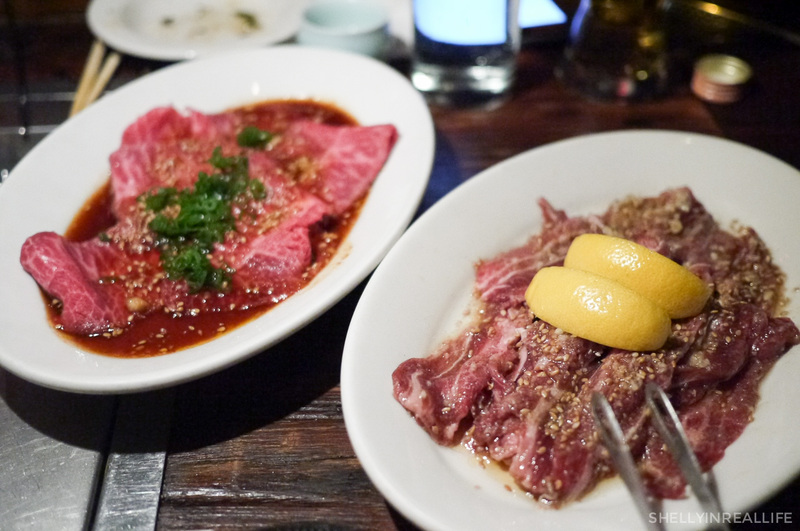 Unlike more traditional tartares, this beef was not finely chopped, but left as strips. 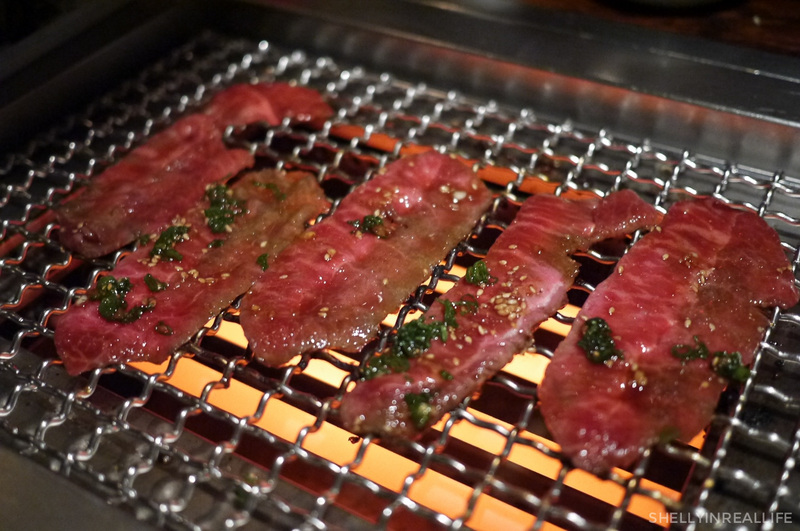 In strip from, you're really able to taste the beef and can slurp it up like a meat noodle. No chewiness whatsoever. Oh, and did I mentioned it was covered with quail egg? Yesss! Would easily recommend this to anyone. Then we continued on a few different cuts of the cow - this one pictured is the cow tongue. 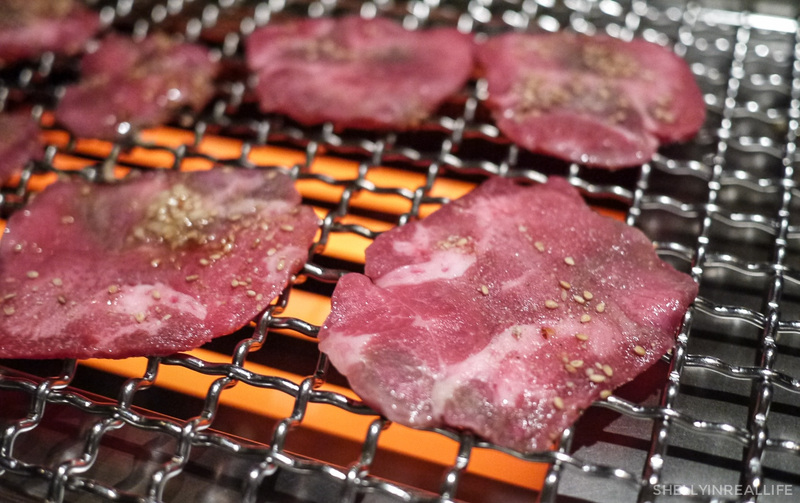 All your grilled meats can be prepared in two different ways: 1- seasoned with salt, garlic and sesame oil & 2 - marinated in Takashi's signature sweet soy marinade. For the tongue, we chose the simpler preparation of oil. Our waitress gave us guidelines on how long to grill each different cuts of meat which we loosely followed. We found it more important to let the wire grill heat up so you don't overcook it waiting for it to get hot enough to cook on. The tongue was a tougher cut of meat that definitely isn't what you would think tongue would taste like, cause it really just tastes like beef. We also ended up ordering beef cheek and beef shoulder with both the different marniades. The clear favorite of the night was the Beef Shoulder marinaded in just the oil. We liked the cut of the shoulder and not having the marinade mask the flavor of the high quality beef. Pictured above is the beef cheek in marinade on the left, and the beef shoulder in oil on the right. Below is the opposite, so beef shoulder in marinade on the left, and the beef cheek in oil on the right. The flame on these things were no joke. 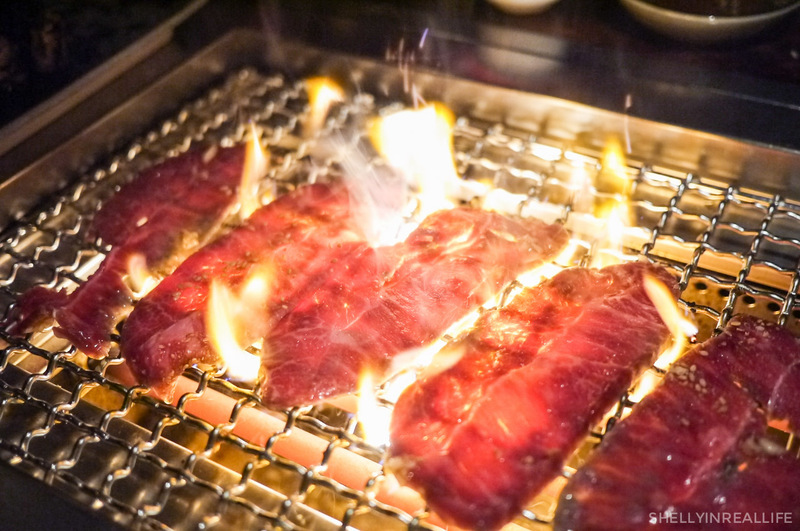 The oil from the meat dripped down and gave it some exciting fire-grilled effect. Yummmo! 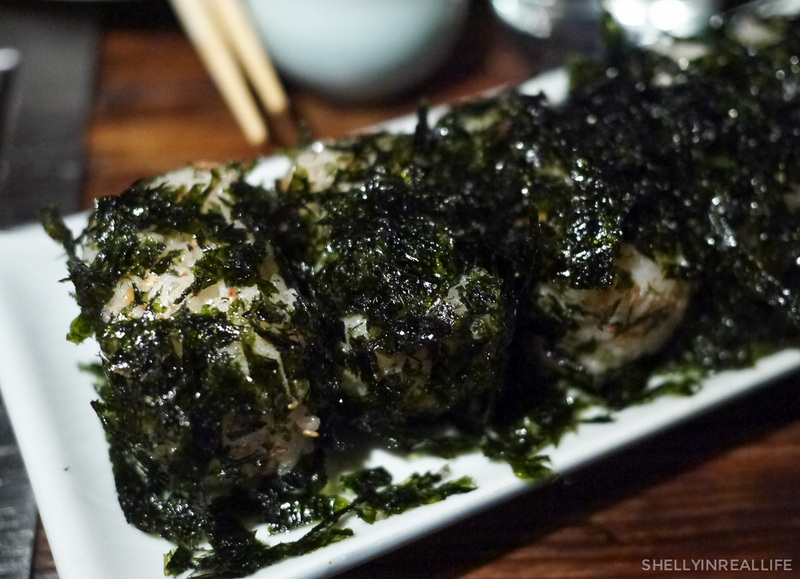 We also ordered the Nori Bakudan which was basically balls of rice covered in korean seaweed. Went really well with the grilled meats. After all that, we decided that we were still a bit hungry so we added on the Squid Ink Rice & Miso-Marinated Sweetbreads. 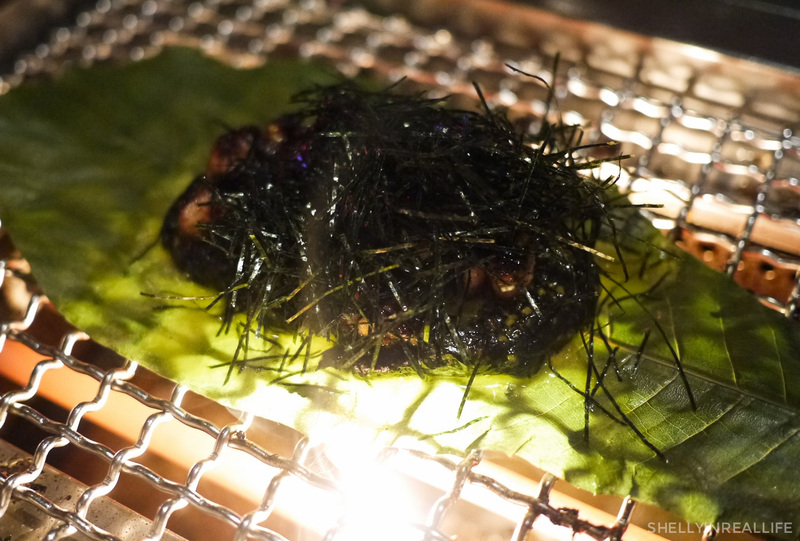 It was served with a spicy yuzu aioli and grilled on top of a magnolia leaf. I actually didn't really grab a bite of the sweetbreads, but the rice was pretty good here, like a creamy risotto would be. All in all, the meal was great but everything was on the pricier side. Like, "go buy yourself a nice pair of shoes at full price" pricey. The men in our group still felt a bit hungry as we were finishing up so we made a quick game time decision. 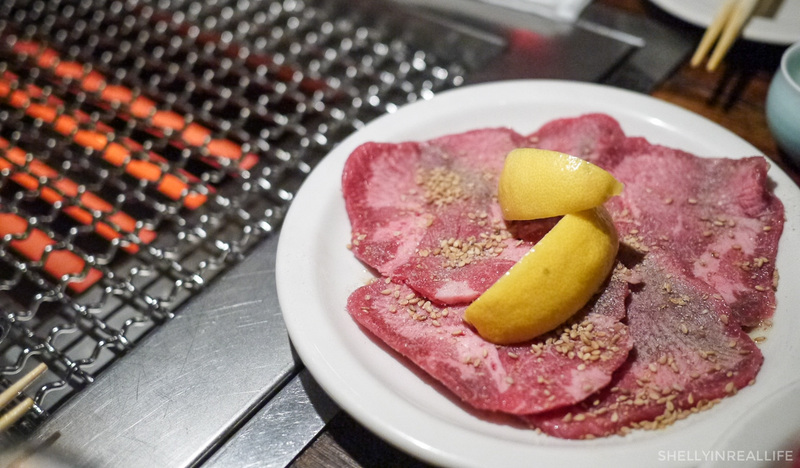 Order more plates of meat at Takashi for ~$100, or grab a quick slice at Joe's Pizza nearby for $4. In the end, fresh mozzarella pizza saved the day. 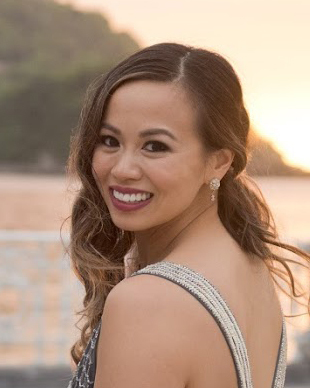 This ended up working out because Joe's Pizza was also on a top list of my "Want to try" lists...(are you coming to find that I have a ton on this list??). Also, 2 of the people in our group were visiting NYC from Texas, and what's more NYC than going out to buy a slice of pizza because you weren't full from the expensive foodie dinner you just had? Amiright? !